Last week on the 1st March a stray cockerel was rescued near the reservoir. The bird was found with a head injury and collected by Animal Collection Officer Geoff George and is being cared for at the GSPCA. Geoff George Animal Collection Officer said "We rescued the bird on the 1st March and are appealing for an owner to come forward." "Despite his head injury he is doing well and if anyone is missing any animal in Guernsey please do call us on 257261." We are pleased to report that thanks to the media coverage from the stray chickens found at Beau Sejour they are now back home with their owners. The birds had been missing for some days and the owners had tried to locate them and when they saw them in the recent media coverage they came straight up to the Shelter and the birds are now happy and back home where they belong. 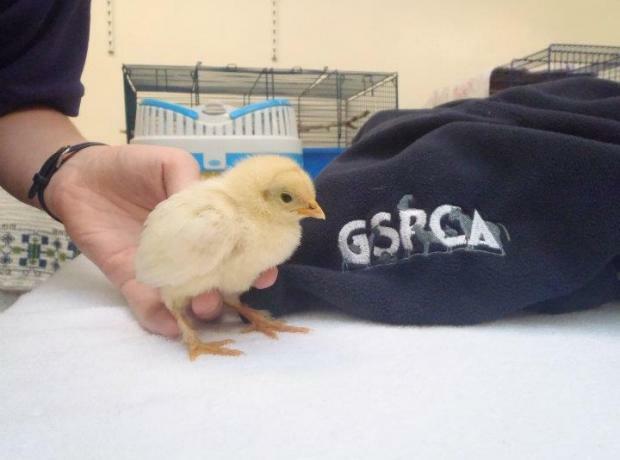 Earlier this month two chickens were rescued at Beau Sejour. The two birds weren't actually in the gym but walking around the car park through the cars and vans parking. 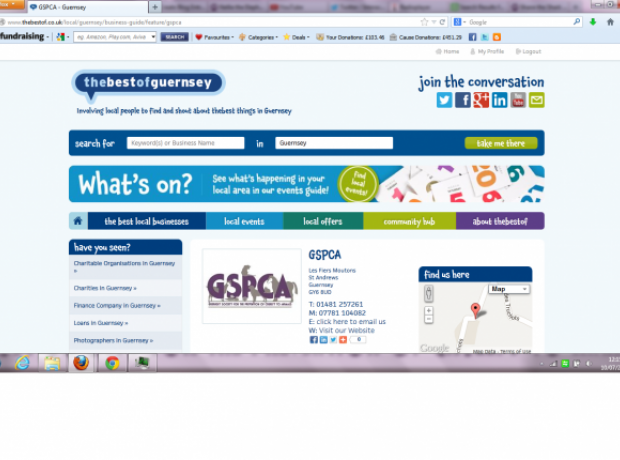 GSPCA Animal Collection Officer Geoff George was called out on the 16th February and to date no owner has come forward. At the GSPCA we are awaiting to hear on any local guidance from the Guernsey States Vet in the light of Avian Flu in Europe. Last night at 1am the GSPCA Night Wardens Matt Hill-Smith and Jen Bradshaw were called out to a call they weren't expecting. The GSPCA were contacted by the police to attend the scene at the Men's Toilets at North Beach Car Park in St Peter Port to find three adult Hens perching on the lavatory surrounded by bread. 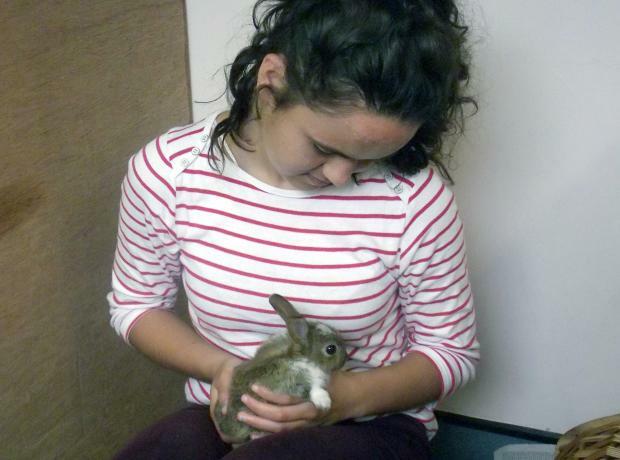 They were quickly captured by Matt and Jen who transported them to the GSPCA Animal Shelter where Annabelle Janes a member of the GSPCA Night Staff Team checked them all over and made them comfortable.